Duke Energy Carolinas, a subsidiary of Duke Energy, is providing an affordable renewable energy option for its South Carolina customers that will enable them to see savings in their monthly bills from the output of two new solar facilities in Anderson County. The Shared Solar Program is available to all qualified Duke Energy Carolinas residential and nonresidential customers including those who hold tax-exempt status, those who rent or live in multifamily housing, and those who may not otherwise have access to solar energy. 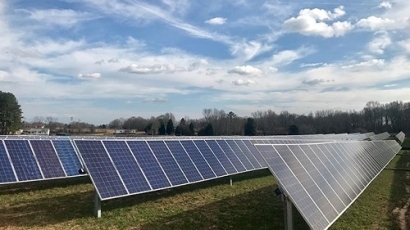 The program is powered by two new facilities in Anderson County – a 2 MW facility near Piedmont and a 1 MW facility in Pelzer – developed and owned by Soltage, an independent renewable power provider that develops, finances and operates solar and solar-plus-storage projects across the U.S.
Duke Energy Carolinas owns nuclear, coal, natural gas, renewables and hydroelectric generation. That diverse fuel mix provides approximately 19,600 MW of owned electric capacity to about 2.5 million customers in a 24,000-square-mile service area of North Carolina and South Carolina. All the coverage of this seems to just reprint a Duke Energy press release. Everyone just quotes the $200 credit, with no indication of what size subscription that is for, and no indication of how much the fees amount to. Since no-one was doing any digging for details, I did it myself, starting with the FAQs and \"Learn More\" links on this page: https://duke-energy.morecleanenergy.com/?juris=SC01&_ga=2.265237583.1956699700.1549719788-1236668748.1549719788 For a 1-kilowatt subscription, the FEES are: $20 application fee $50/kW one-time enrollment fee $6/kW monthly fee =$72/yr As for the actual CREDITS, PVWatts.nrel.gov estimates an annual per-kW production for Spartanburg of 1446 kWh and Duke credits subscribers at = $.0604/kWh = $87.34 credit/yr Subtract the $72/year fee and you are left with approx. $15 savings/yr/kW (not guaranteed; depends on solar production) But if you\'re only saving $15/yr, it would take 4.66 years to pay off the one-time $70 application + enrollment fees. The waiving of the upfront fees for low-income folks would give at least these customers a small savings from day 1. This is way better than Duke\'s pending proposal for NC, where subscribers would LOSE a whopping 51% of their investment, but still falls far short of, say, Minnesota community solar, which is unlimited, can be owned and controlled by non-utility players, and produces more savings for the customer.